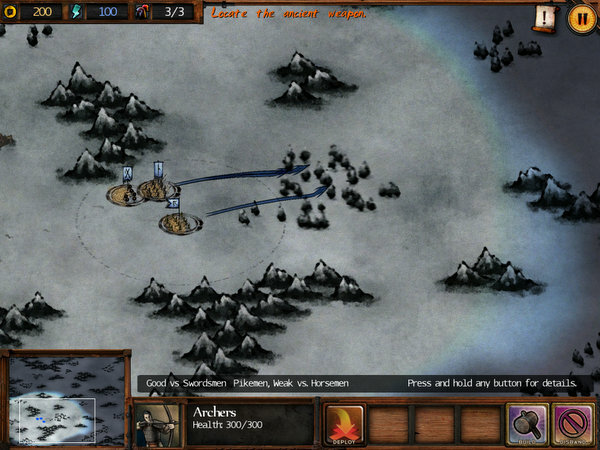 The RTS genre is a bit thin on the iPad, which is surprising considering the iPad’s expansive screen. Touch Dimensions and Bulkypix decided to fill this gap with their latest game Autumn Dynasty. Autumn Dynasty is a stylish RTS drawing inspiration from ancient China. The game is pit against big names like Sega’s Total War Battles, does it have what it takes to shine? Autumn Dynasty takes place in the Autumn Empire, a place heavily inspired by China. The legend of the Thousand Sun Weapon and firedust has ensured peace in the Autumn Empire, but a rebellion is brewing against a corrupt government. The peasants are revolting against the government, refusing to slowly starve to death as the nobles become fat through the peasants’ labour. Masked rebels lead the rebels into battle, hoping to steal the secrets of the Autumn Empire under the guise of leading a righteous revolution. 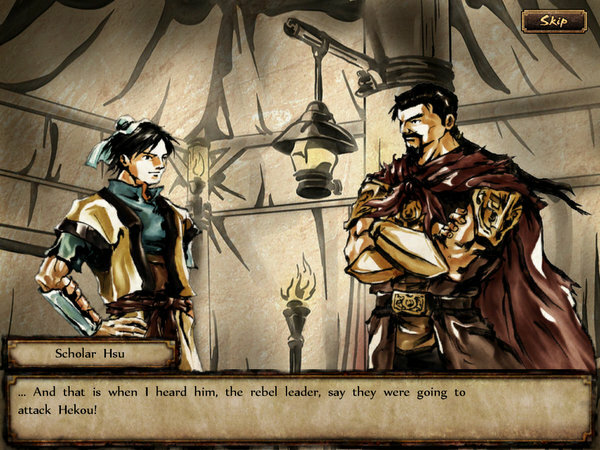 The story follows very affable heroes and skillfully mixes humour and an epic plot line the keep player interest. Some characters, such as General Li, could be a little one dimensional at times Autumn Dynasty provides an entertaining story to keep players riveted. Autumn Dynasty comes with a fully-fledged campaign mode with online multiplayer that supports voice chat over WiFi and Bluetooth. 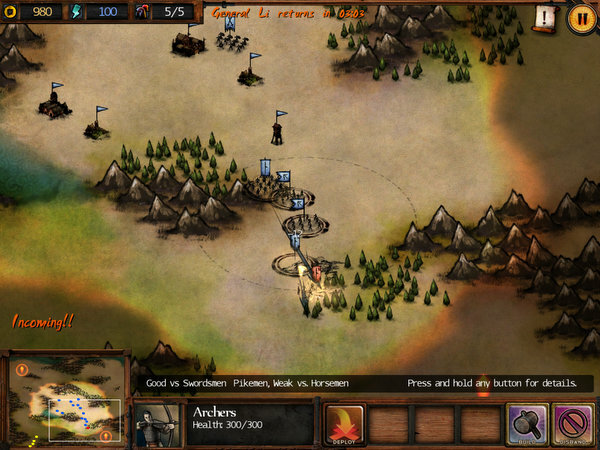 The game plays like a stripped down RTS such as Age of Empires. There are no peasant units in Autumn Dynasty. Gold is generated via farms and buildings are built by combat units. Building construction is limited to several pre-determined spots on the map. The unit limits are rather low in comparison to say the original Starcraft, but the screen is kept visually full as a single unit is representing by multiple small troops. This unit representing by an actual unit of troops is best mirrored by the Total War series. The RTS elements of the game is so well executed that I feel Autumn Dynasty would easily find a home with some modifications for PC controls as an indie PC release. 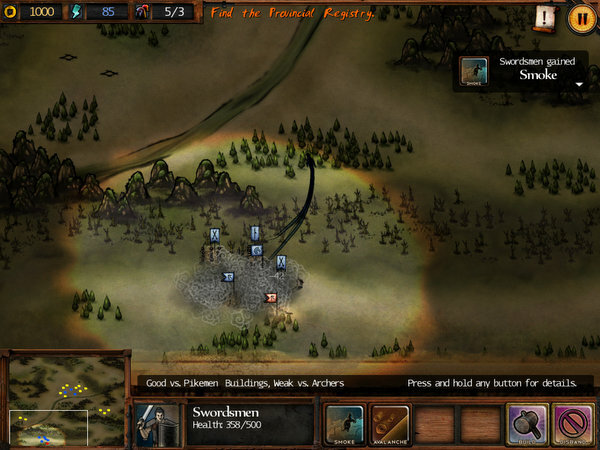 The game is controlled by buttons on the UI and drawing commands for units on the battlefield. On a whole, the controls are perfect. The developers seem incredible aware of the platform they are working with and apply the touch screen subtle and logical ways. The drawing method can be slightly cumbersome when ordering units to move long distances. One thing surprisingly missing from Autumn Dynasty is unit rules of engagement settings. The stealth mission would have really benefitted from the ability to order my units to not engage the enemy so I could issue commands to other units. Instead I was stuck to select and hold my finger on the units I needed to not move to ensure they would not go running into combat with little regard for personal safety. The campaign is of decent length. However I wish there was an easy difficulty setting. The difficulty level of some missions can be rather punishing. Unit battles generally boil down to rock, paper, scissors type affairs with unit special abilities changing the tides of battles. Those who are less gifted in micromanagement will struggle on the normal difficulty. Mixing smart controls with traditional RTS gameplay, Autumn Dynasty, Autumn Dynasty is a shining example of the RTS genre on the iPad done right. One of Autumn Dynasty’s main draw is the traditional Chinese style art and for good reason. Autumn Dynasty is a gorgeous game. The game’s art style is catchy and unique. Every part of the game fits the style. If left alone, the game looks like it was torn out of a historic art book. The animations are beautifully done; it is a pleasure to see the little individual stick figures that compose a unit do battle with each other. Thankfully the game is Retina ready as I dread how my beloved stickmen would look if it was not. Autumn Dynasty’s visuals are easily my favourite part of this game. Autumn Dynasty provides a strong audio experience. The sound effects are well implemented and a pleasure to listen to. One of the most impressive things about Autumn Dynasty is the music. It manages to capture the Chinese style of the game without becoming tacky or stereotypical to the point of parody. Although music does not play throughout the game, it cues in always at the right time melding seamlessly into the game. 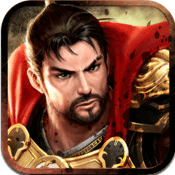 Autumn Dynasty easily earns its way onto the must have list of any iPad gamer. Although players who are not experience or extremely skilled with the RTS genre may want to be aware they are in for an extremely challenging experience. Those lacking patience may want to sharpen their skills on other RTS games before tackling Autumn Dynasty. Autumn Dynasty mixes fantastic RTS gameplay, wonderful audio, and a unique art style and for $4.99, Autumn Dynasty is a great deal and highly recommended.